I hope you all had a wonderful Easter and are enjoying your Spring! Let's get to it! Here are my Featured Picks for this week! Brandy at the Gluesticks blog showed us all how to Make a Whimsical Fairy Garden Kit! 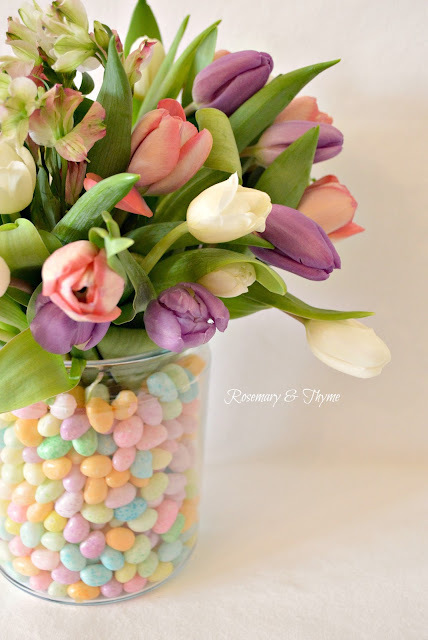 Janet at Rosemary and Thyme shared this adorable Jellybean Easter Spring Centerpiece that I think would be perfect anytime! Chicken Tchoupitoulas Cajun-Chicken with Bearnaise Sauce. I can't wait to try her recipe! Jody at Southern Seazons came by and shared her adorable Spring Mantel with us. Don't you just love it?! Kit from The Kittchen blog popped over to share her yummy Cheesesteak Eggrolls that look absolutely to scrumptous! 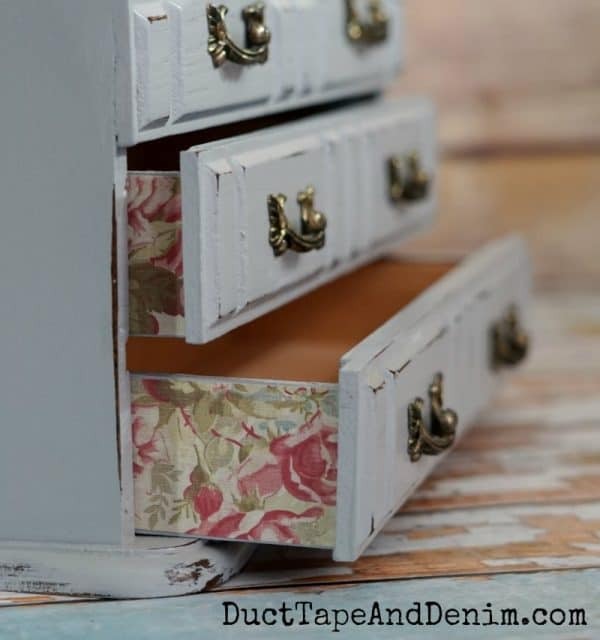 Duct Tape and Denim came by with this unbelievable Jewelry Box Makeover that you are going to have to see to believe! Definitely, pop over to check out the before on this one! 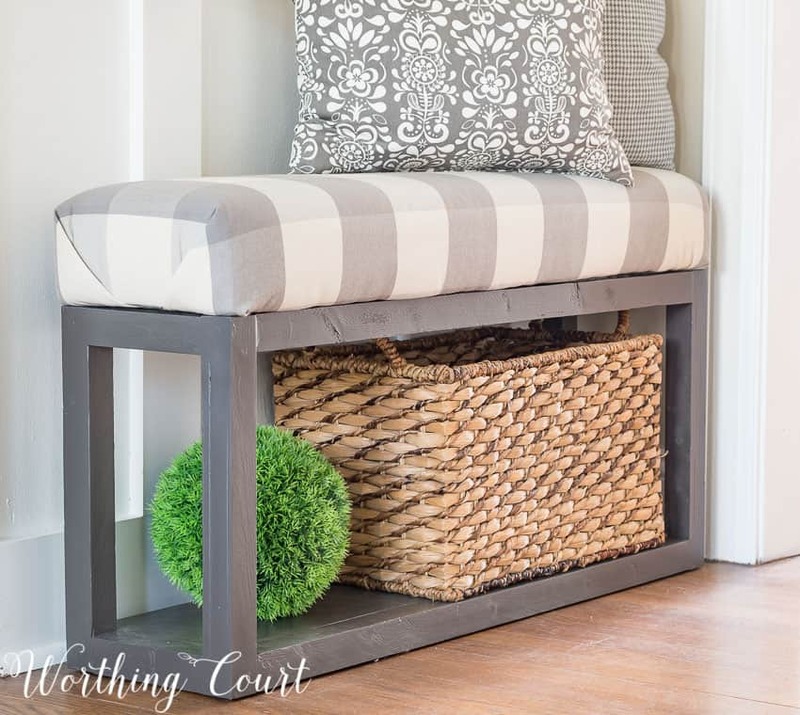 Suzy from Worthing Court Blog shared this great little tutorial on How to Build and Upholster a Farmhouse Bench I love this look. And, so simple! That's it for tonight! Thank you all so much for being here!! Fabulous features, Theresa! They all deserve a closer look. Thanks for the party. Hope you have a lovely weekend. Thanks, Beverly! Happy Weekend to you as well! Thank you so much for the feature of my mantel. Have a great weekend. So happy to have you sharing, Jody!! Happy Weekend! Thank you Debbie! Happy Weekend! Good Afternoon Theresa, What a lovely way to spend an hour or so, discovering new friends, recipes and diy projects.... this makes me very happy. Hi Daphne, thank you so much for your kind comment. I couldn't agree with you more. I'm so glad you're joining us. Happy Weekend and Spring! Thank you for hosting! Happy Weekend! Theresa, Thank you so much for featuring my chicken recipe and for hosting this wonderful party each week!